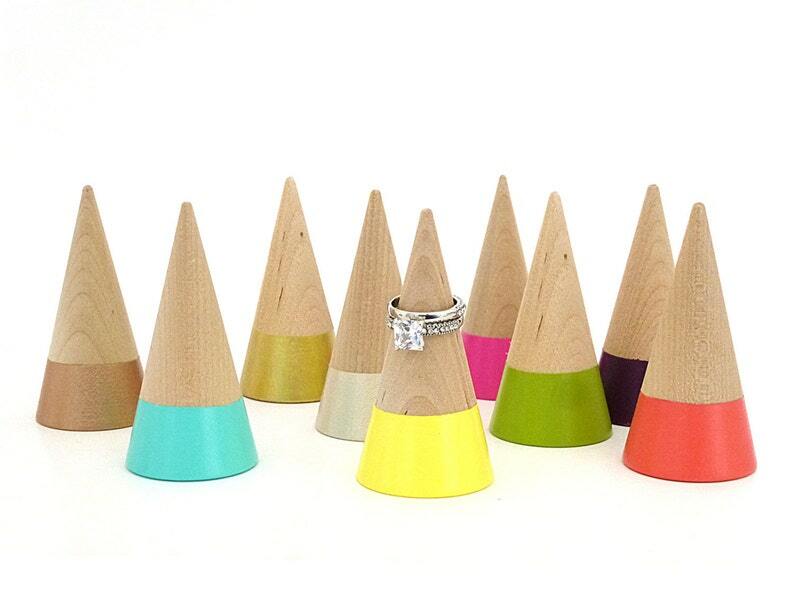 Display your rings in a unique way with this wood ring cone! Painted bottom makes the cone stand out. Great accessory to gift with a ring. Pick from a wide variety of colors!